Swedish drama Den Inre Cirkeln (The Inner Circle) mixes political intrigue with personal dilemma as an ambitious minister plots his rise to the top. Writer and director Håkan Lindhé tells DQ about creating the series, which leaves the corridors of power for an altogether more hedonistic setting. While Nordic noir is mostly associated with dark crime dramas like Forbrydelsen (The Killing) and Bron/Broen (The Bridge), Denmark’s Borgen managed to conjure must-watch drama from the improbable source of coalition politics, winning an International Bafta in 2014. Now, at a time when real-life politics are often stranger than the fictional shows set in the same world, a Swedish drama depicts the challenges facing an ambitious minister as he attempts to balance his family life with the demands of his day job. Described as an intense, character-driven drama, Den Inre Cirkeln (The Inner Circle) is a thriller that plays out over the course of several days as enterprise minister David Ehrling (Niklas Engdahl) bids to become the next prime minister, all while his press officer Lena Nilsdotter (Nanna Blondell) attempts to keep his past misdemeanours away from prying journalists (Ebba Hultkvist and Melinda Kinnaman). Meanwhile, David must also juggle the demands of his job with his family life, which is under threat of falling apart. That inner struggle is visible from the outset, with David clearly reluctant to leave his family when the prime minister suddenly summons him for a press conference at which she will announce her resignation. “Eventually, the price will be extremely evident for him. It may be too high. He has to choose,” Lindhé says. Lindhé was first approached about the project in July 2017 and began writing in September that year. Commissioned by Nordic streaming platform Viaplay, the series is inspired by former Swedish political operative Per Schlingmann’s novel I Maktens Öga (In the Eye of Power), though Lindhé says that to call the series an adaptation would be disingenuous, owing to the number of changes that have been made. In particular, Lindhé says the conflict between David’s political career and his family life didn’t exist at all in the book, while he also introduced an intriguing subplot involving Russians and the controversial sale of a harbour that could derail his leadership aspirations. What was clear from the outset was that Lindhé wanted to present politicians in the series as “real human beings,” unlike the two-dimensional characters often portrayed on TV who are only interested in their image. That also opened up the opportunity for viewers to see both the good and bad in David – an ordinary person in an extreme situation. Watching the first two episodes, what is notable is the fact that they both end on a nail-biting cliffhanger, with characters left at death’s door as the credits roll. It’s a feeling of suspense that Lindhé says will run throughout the drama, echoing the tension he carried with him during the writing process as he started to outline the episodes without a clear ending in sight. Working with fellow writers Anna Platt and Maja Winkler, who each wrote episodes alongside Lindhé, they penned the first four episodes together before Lindhé began work on the final four. It was only then, he says, that he began to grasp the feeling of where the series would go. Episodes also begin with flashbacks or, in the case of episode one, a flash forward, to give context to a theme or relationship that features in that instalment. As well as writing the majority of the series, Lindhé also directed the first two episodes and the concluding trio. He says he tries not to think about directing while he is writing, in order to ensure he doesn’t limit himself by considering what may or may not be achievable in production. But once the cameras are rolling, he says it’s much easier to direct a series having written it himself, as he already knows the answers to many of the questions a non-writing director might have. 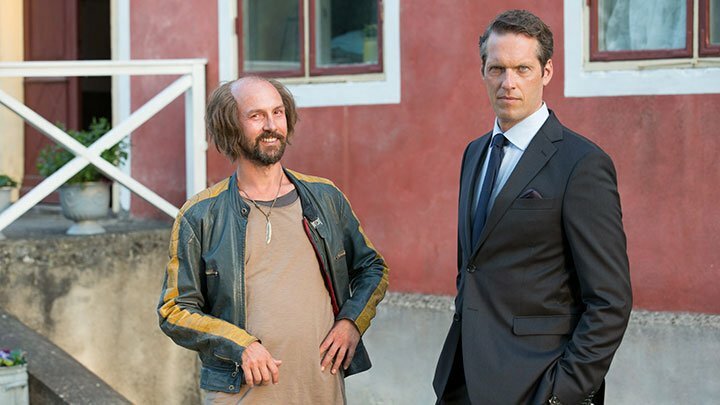 The series is set against the backdrop of Almedalen, an annual event held in a large park in Visby, on the island of Gotburg off Sweden’s east coast, where huge numbers of Swedish politicans, business leaders and influencers gather for meetings and, in the evenings, to let their hair down. The often-hedonistic festival atmosphere could not have been recreated, so the production spent five long days and nights shooting exterior scenes at Almedalen in July 2018. After that, the rest of the shoot was “a walk in the park,” Lindhé says, with a mansion in northern Gotland doubling for the Ehrling family’s summer home. A week of filming also took place in Berlin. 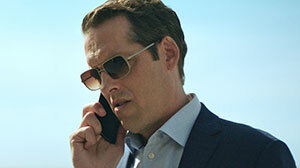 The series, distributed internationally by DRG, is due to launch on Viaplay across Scandinavia on March 22. In the meantime, it has already been nominated for the Nordisk Film & TV Fond prize, which recognises outstanding writing of a Nordic drama series. The winner will be announced at Göteborg Film Festival’s TV Drama Vision in the next two days.